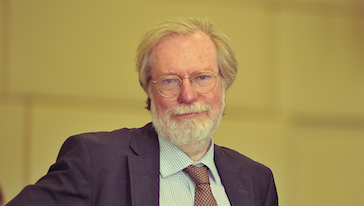 Prof. Paul Collier is the Director of the Centre for the Study of African Economies at the Oxford University. Collier is the world-renown expert on development issues, especially focusing on Africa, the author of numerous books and articles, including “The Bottom Billion”, “Wars, Guns and Votes” and “The Plundered Planet: How to Reconcile Prosperity With Nature. Collier has worked as a consultant to the International Monetary Fund and the World Bank, to the British government and columnist to the New York Times, Wall Street Journal and Washington Post. His major areas of interest include governance in low-income countries, especially the political economy of democracy, economic growth in Africa, economics of civil war, aid, globalisation and poverty.